I have been wanting to bake something for the past week and finally got around to it today! For the first time, I went with pita bread. And if you have pita bread, you're going to have to have hummus too. I think everyone should always keep the ingredients for hummus on hand. If you have company coming on short notice (or even with notice and you're just short on time), you can whip up a batch in about 10 minutes. 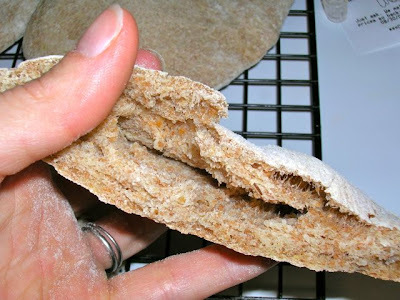 The pita bread takes a bit longer, but if you have a box of crackers or some veggies, you'll be fine. 1. Place all ingredients into a large stand mixer fitted with a dough hook. Blend on low one minute, then on medium 7 minutes until dough forms a ball and is soft and stretchy. (alternately, combine by hand in a bowl. pour out onto lightly floured surface and knead by hand 12-15 minutes). 2. Grease a bowl with cooking spray and place dough in the bowl. 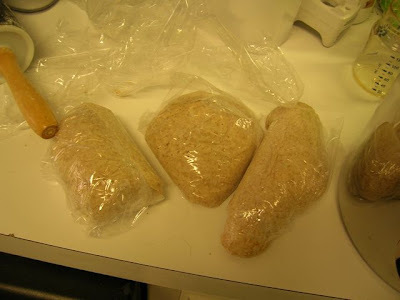 Cover bowl with plastic wrap and let dough rise for 90 minutes or until double in size. 3. Punch dough down and divide into 6-8 portions. Form each portion into a small ball and wrap in plastic wrap. Allow to rest for 20 minutes. Preheat oven to 450 degrees F.
4. 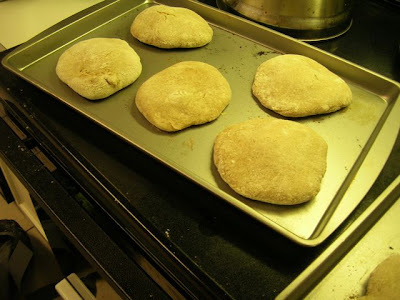 Lightly flour a surface and roll each dough ball into a circle roughly 1/4" thick. Place onto baking sheets. Bake on the lowest oven rack for 3-4 minutes, or until puffed up. Really, they cook super fast. Mine were almost too dark at 4 minutes. 5. Remove to a cooling rack. To serve: Cut into triangle wedges and serve with a dip (such as hummus), or cut in half and stuff with sandwich fixins'. 1 16 oz. can chickpeas (also called garbonzo beans), or 2 cups cooked chickpeas. Reserve 2 Tbsp. of the water from the can or the cooking water if you cook your own. 2. Puree 1-2 minutes until smooth (may need to pulse a few times to help settle the contents). 3. With the processor on, stream in the olive oil until it reaches the consistency you prefer. I use a bit less than a 1/4 cup. To serves: Place in a bowl and garnish with paprika sprinkled on top. Serve with pita wedges, fresh veggies, or crackers. *tahini is sesame seed paste. You can find it at most grocery stores in the international food aisle, or I find mine at a local Greek restaurant/grocery. 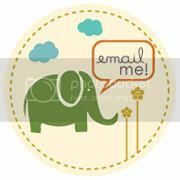 Be sure to check out this week's awesome tutorial over at Monkeys On The Bed! What was the measurement for the room temperature water? The recipe looks yummy! 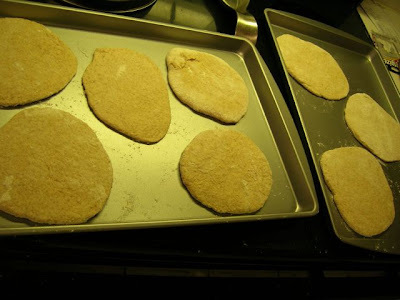 you are ambitious making your own pita bread!!! hummus is delicious. i always triple or quadruple the recipe because it goes so fast. 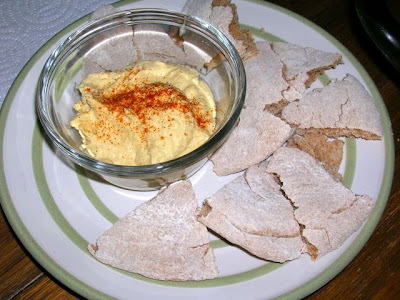 :) my favorite is http://www.fatfreevegan.com/appetizers/hummus_original.shtml, add some fire roasted red peppers and yum yum! !